Carlisle United have signed defender Jordan Mustoe on loan from Wigan Athletic until the end of the season. The 22-year-old was loaned to League Two Morecambe earlier in the season and recently appeared in Wigan's FA Cup wins at Bournemouth and Macclesfield. 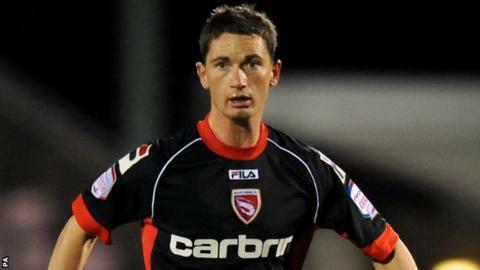 "It's good to get him in, he's very highly thought of at Wigan," manager Greg Abbott told the club website. "He adds more options and it should help us with the work we've been doing defensively over the last few months." He added: "As always in these cases, if it goes well, as we think it will, then it's a good move for all concerned." The Birkenhead-born left-back also had a loan spell with Barnet last season and has made a total of 35 career appearances, scoring one goal. Carlisle currently sit 16th in the League One table, eight points above the relegation zone.